Prominent Palestinian writer and political scientist Ahmad Qatamish was released on 13 August 2017 from Israeli prisons, after spending three months under administrative detention, without charge or trial. Qatamish was arrested by Israeli occupation forces in a pre-dawn raid on 14 May 2017, and received a three months administrative detention order on 17 May 2017. Qatamish was first arrested by the Israeli authorities in 1969 and held for a few months. He was then rearrested in 1972, this time spending 4 years in prison. After his release, Mr. Qatamish spent 17 years in hiding from 1976 to 1992 to avoid re-arrest. On 2 September 1992, however, he was arrested once more, in the presence of his then 3-year-old daughter, and was subjected to torture and ill-treatment during 100 days of interrogation, an experience which he vividly exposed in his prison notes entitled I Shall not Wear Your Tarboush (fez). He was placed in administrative detention, a form of detention without charge or trial that is based on secret information made available to the Military Judge, and which can be renewed indefinitely. For the next five and a half years, Mr. Qatamish’s detention order was renewed every six months, making him one of the longest-held administrative detainees. 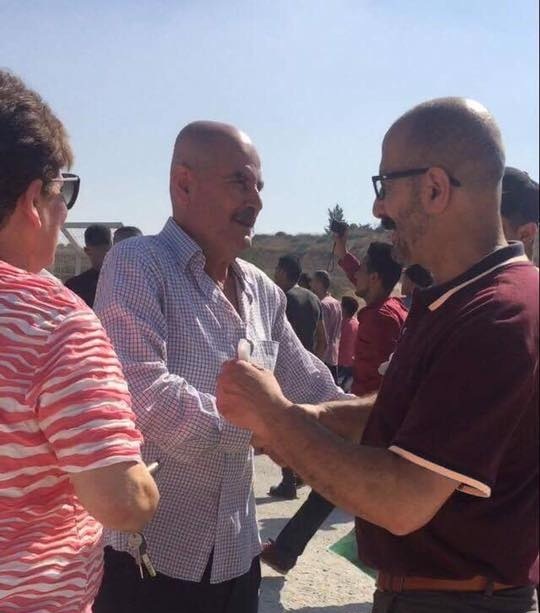 He was finally released on 15 April 1998 after an extensive international campaign on his behalf, but has been prohibited from traveling outside the occupied Palestinian territory by the Israeli authorities ever since. After his release in 1998, Mr. Qatamish completed his studies in political science and devoted his life to writing and lecturing, notably founding the Munif Barghouti Research Center and teaching a course in 2010 at the School of Humanities at Al-Quds University. Qatamish was last arrested in 2011, where he spent two years and a half under administrative detention. In the occupied Palestinian West Bank, the Israeli army is authorized to issue administrative detention orders against Palestinian civilians on the basis of Military Order 1651. This order empowers military commanders to detain an individual for up to six-month renewable periods if they have “reasonable grounds to presume that the security of the area or public security requires the detention.” On or just before the expiry date, the detention order is frequently renewed. This process can be continued indefinitely.